Oxygen has been found in the newly discovered "cooling flows" – heavy rains of gas that appear to be falling into galaxies from the space once thought empty surrounding them, giving rise to yet more water. However, not all of that groundwater is easily or cheaply accessible. 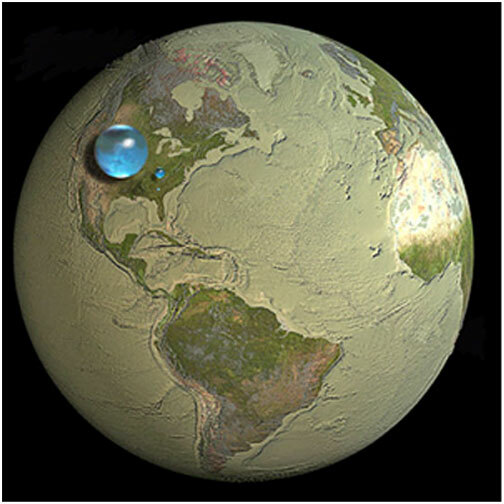 The truth is that the surface is the source for the vast majority – nearly 80% – of our water. Of surface waters, lakes hold 42,320 mi3, only a bit over half of which is fresh, and the world's rivers hold only 509 mi3 of fresh water, less than 2/10,000 of 1% of the planetary total. Or perhaps we should say "the river formerly known as the mighty Colorado." That old Colorado – the one celebrated in centuries of American Western song and folklore; the one that exposed two billion years of geologic history in the awesome Grand Canyon – is gone. In its place is… well, Las Vegas – the world's gaudiest monument to hubristic human overreach, and a big neon sign advertising the predicament now faced by much of the world. Intense conflicts over water will probably not be confined to the developing world. 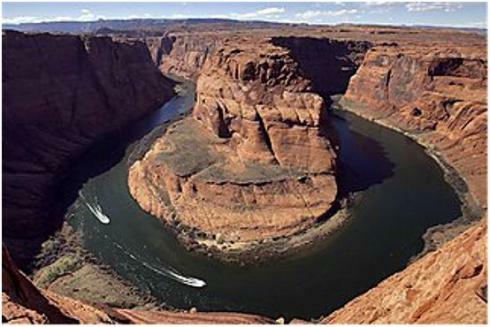 So far, Arizona, California, Nevada, New Mexico, and Colorado have been able to make and keep agreements defining who gets how much of the Colorado River's water. But if populations continue to grow while the snowcap recedes, it's likely that the first shots will be fired before long, in US courtrooms. If legal remedies fail… a war between Phoenix and LA might seem far-fetched, but at the minimum some serious upheaval will eventually ensue unless an alternative is found quickly. Supply is not the only issue. There's also potability. Right now, 40% of the global population has little to no access to clean water, and despite somewhat tepid modernization efforts, that figure is actually expected to jump to 50% by 2025. When there's no clean water, people will drink dirty water – water contaminated with human and animal waste. And that breeds illness. It's estimated that fully half of the world's hospital beds today are occupied by people with water-borne diseases. The "green revolution" has proven to have an almost magical ability to provide food for an ever-increasing global population, but at a cost. 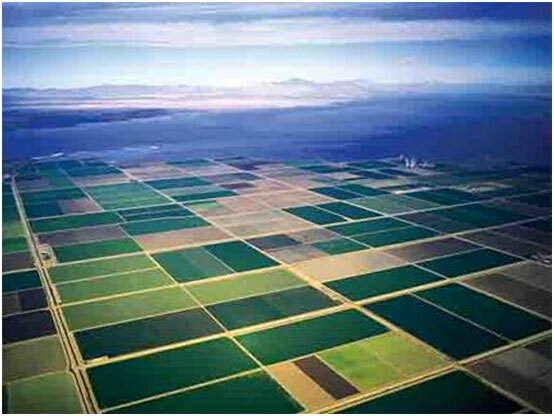 Industrial cultivation is extremely water intensive, with 80% of most US states' water usage going to agriculture – and in some, it's as high as 90%. In addition, factory farming uses copious amounts of fertilizer, herbicides, and pesticides, creating serious problems for the water supply because of toxic runoff. Modern livestock facilities – known as concentrated animal feeding operations (CAFOs) – create enormous quantities of animal waste that is pumped into holding ponds. From there, some of it inevitably seeps into the groundwater, and the rest eventually has to be dumped somewhere. Safe disposal practices are often not followed, and regulatory oversight is lax. As a result, adjacent communities' drinking water can come to contain dangerously high levels of E. coli bacteria and other harmful organisms. But the problem didn't go away with Brockovich's court victory. The sad fact is that little has changed for the better. In the US, our feeble attempt to deal with these threats was the passage in 1980 of the so-called Superfund Act. That law gave the federal government – and specifically the Environmental Protection Agency (EPA) – the authority to respond to chemical emergencies and to clean up uncontrolled or abandoned hazardous-waste sites on both private and public lands. And it supposedly provided money to do so. How's that worked out? According to the Government Accountability Office (GAO), "After decades of spearheading restoration efforts in areas such as the Great Lakes and the Chesapeake Bay, improvements in these water bodies remain elusive … EPA continues to face the challenges posed by an aging wastewater infrastructure that results in billions of gallons of untreated sewage entering our nation's water bodies … Lack of rapid water-testing methods and development of current water quality standards continue to be issues that EPA needs to address." 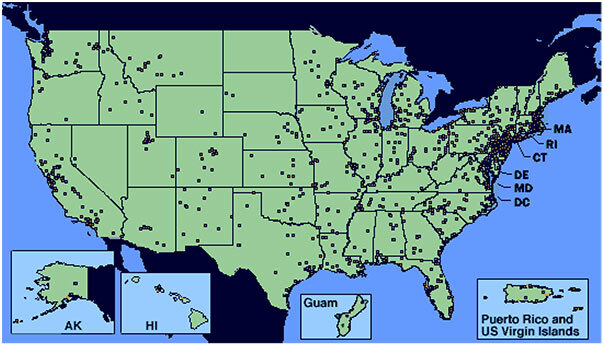 Just consider that the EPA has a backlog of 1,305 highly toxic Superfund cleanup sites on its to-do list, in every state in the union (except apparently North Dakota, in case you want to try to escape – though the proliferation of hydraulic fracking in that area may quickly change the map, according to some of its detractors – it's a hotly debated assertion). With much water not located near population centers, transportation will have to be a major part of the solution. With oil, a complex system of pipelines, tankers, and trucking fleets has been erected, because it's been profitable to do so. The commodity has a high intrinsic value. Water doesn't – or at least hasn't in most of the modern era's developed economies – and thus delivery has been left almost entirely to gravity. Further, the construction of pipelines for water that doesn't flow naturally means taking a vital resource from someone and giving it to someone else, a highly charged political and social issue that's been known to lead to protest and even violence. But until we've piped all the snow down from Alaska to California, transportation will be high on the list of potential near term solutions, especially to individual supply crunches, just as it has been with energy. Kamen says you can "stick the intake hose into anything wet – arsenic-laden water, salt water, the latrine, the holding tanks of a chemical waste treatment plant; really, anything wet – and the outflow is one hundred percent pure pharmaceutical-grade injectable water."